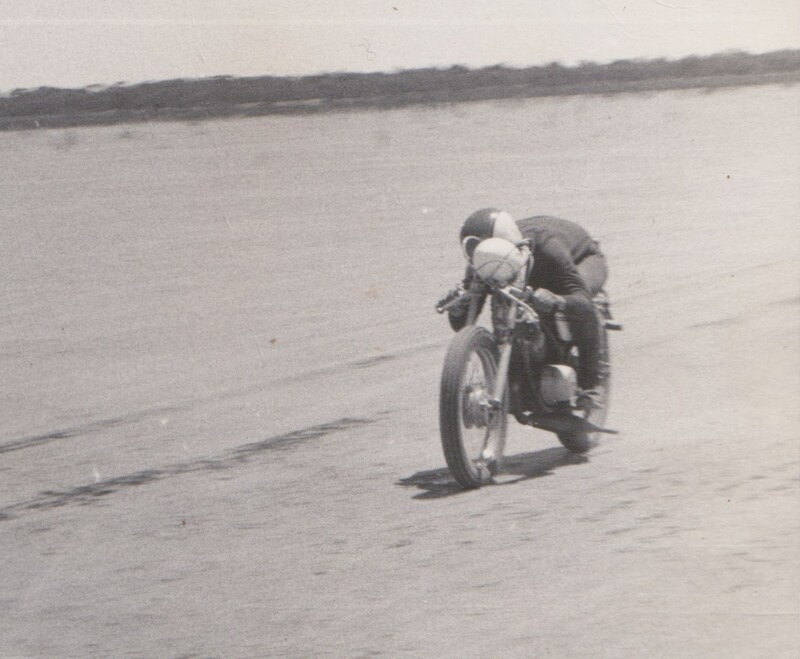 David had an early introduction to speed, his father seen here at Lake Perkolilli having a crack at the 100 MPH 125 cc land speed record during the early 1970’s. David spent many successful years racing Australian speedway dirt track before turning to land speed racing. 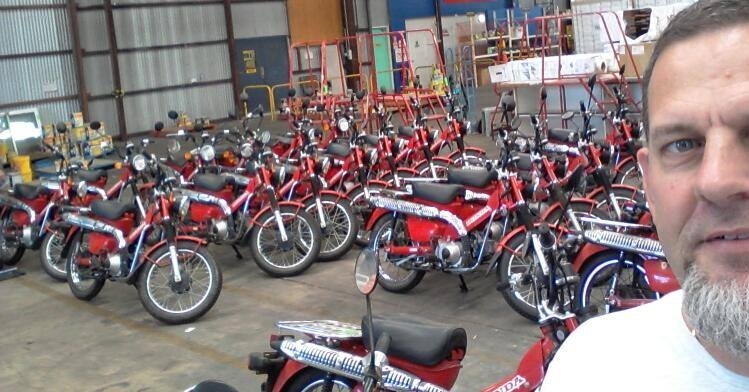 The path to running a postie bike on the salt lake was an interesting one. Retired from speedway at about the same time as the World’s Fastest Indian movie was released David needed a new challenge. His neighbour was moving house and discarded an old postie; and the rest is history.